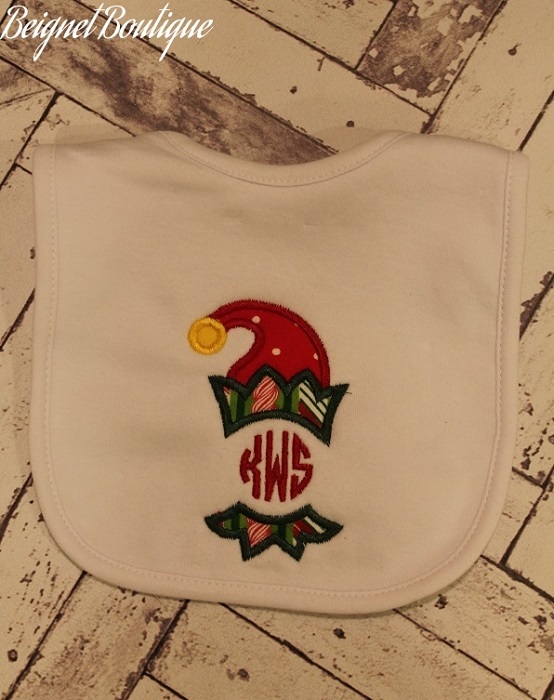 Get in the holiday spirit with this cute, fun monogram elf design! Design is stitched in festive holiday red and green and features a 3 initial monogram. Make it a matching set with a bib and burp cloth. Please indicate the three initials to be used in the memo field below. Initials will appear in the following order: First Name Initial, Last Name Initial, and Middle Name Initial. For example, the name Peter Andrew Williams will appear as PWA.